Some people will always claim to have friends in high places, but for Brown + Hudson it’s true and some of ours literally couldn’t be any higher. If you’re looking for the ultimate in unique experiences why not try spending time with royalty in some of the world’s most beautiful countries for a refreshing new perspective. The fascinating Himalayan kingdom of Ladakh, with its harsh climate and over­whelming natural beauty beckons you for an intense adventure. Cut off by the towering snow-capped mountains, its winding roads and passes are only acces­sible for a few months in the year. 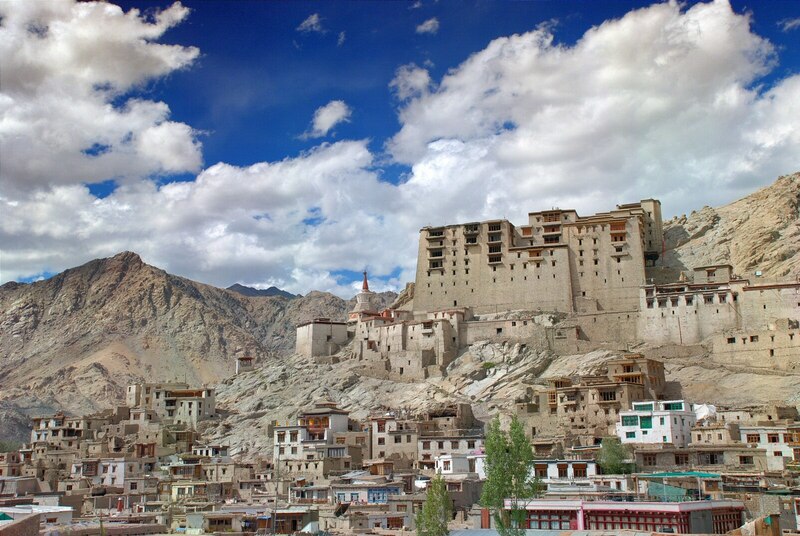 Known as ‘India’s Little Tibet’, Ladakh is among the world’s highest inhabited plateaus. Brown + Hudson travellers can take in a totally different view of the kingdom thanks to our special friendship with His Royal Excellency Raja Jigmed Wangchuk Namgyal, the King of Ladakh. You’ll stay at Stok Palace and as the King’s guests, you will be granted unprecedented ac­cess to the kingdom. The young monarch will even join you for dinner, providing a passionate understanding of his region’s complex history. The other side of the imposing Himalayas is the small mountain kingdom of Bhutan, a country quite unlike any other. The isolation of the ‘Land of the Thunder Dragon’ (as Bhutan is so affec­tionately called) has cultivated a culture rich in tradition, with a unique Buddhist perspective. Where else does a govern­ment put its people’s happiness before GDP, instead using the principle of Gross National Happiness? Bhutan’s beautiful landscapes of sacred mountains, lush val­leys, remote temples and fortress monas­teries sit largely undisturbed, framed by the splendour of the Himalayas. While there, we will arrange a meeting with one of the Queen Mothers (there are four). She will gladly spend the day sharing insight into her role as an ambassador for children’s education and women’s issues. If you would prefer sun and sand to mountains and snow why not flit across to the Pacific paradise of Bali? This picturesque island is surrounded by beautiful coral reefs. Dive into the crystal-clear waters and watch in awe as incredible wildlife swims by. From brightly coloured fish, mysterious reef sharks to peaceful turtles you will see more than you can possibly believe in this diving wonderland. Far-removed from the vibrant western beach scene lies Ubud, the cultural centre of Bali. Famous for its arts and crafts, much of the town seems to consist of artists’ workshops and galleries. Wander among some of the remarkable architectural sites and relax in the gentle feeling of well-being the town imbues. Over tea we will introduce you to Jero Asri Kerthyasa, Ubud’s Royal Princess, for a chat about the preservation of Balinese culture. Jero Asri has a unique insight to life as a royal as she was born in Sydney as Jane Gillespie, and has been married to the prince of Ubud for thirty two years. The juxtaposition with her old and new life provides rare insight into Bali’s ‘East meets West’ iden­tity. Contact us to be introduced to insightful and inspiring people in the Himalayas.